In any divorce, a fair and equitable division of marital assets and debts are essential. Divorce is often a difficult time in which to deal with property division rights and disputes. At the law firm of All Family Law Group, our committed Tampa asset and debt lawyer will advocate for you and fight for your rights, leaving you time and energy to care for yourself and your family. We have practiced divorce and family law since 1997 and have helped thousands successfully navigate the complications of divorce and the division of property and debt. 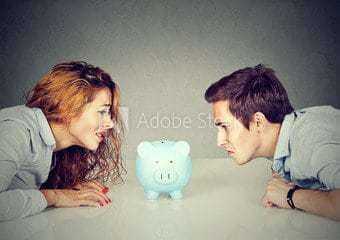 Disputes may arise when dividing debt and property during a divorce. One common cause of disputes is the question of whether property or debt is marital or premarital. Premarital assets and liabilities are acquired or incurred prior to marriage, while marital assets and liabilities are acquired or incurred during the marriage. A premarital asset may become a marital asset if the other spouse’s name is added to the property’s title or asset’s account. If so, then the spouse who originally solely owned the property or account may ask the Court for an unequal division of the asset based upon their pre-marital ownership of it. There are many factors involved in making this determination. The same applies to a pre-marital debt which has been transferred into both spouses’ names. We will work with you to build a strong case for the equitable division of your assets and liabilities. Do you have questions regarding the division of property following your divorce? Are you concerned about how much of your marriage debt will be assigned to you following your divorce? Contact us by email or call 813-672-1900 for an initial consultation at no charge with an experienced Tampa asset & debt division attorney. Contact the Property Division Attorneys of All Family Law Group. If you have questions regarding dividing your marital property, assets and liabilities in a divorce, call the law firm of All Family Law Group, P.A. at 813-672-1900 or contact us by email. We provide a free consultation and to assist you we have a team of attorneys and legal staff committed to providing you with the best representation possible. We accept MasterCard, Visa, Discover, American Express and most forms of payment and we charge reasonable and competitive rates. We will respond to you at our earliest opportunity to advise you of your options!